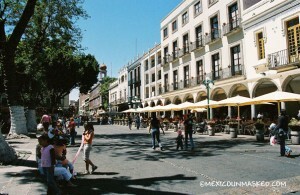 Everyone knows that Mexico City is a must-see when traveling to Mexico. Due to the huge cultural offering, from world-class cuisine to renown architecture and innovative art, Mexico City is the place to go. If you're ever looking to get to know a little bit more of Mexico, perhaps a smaller, more traditional city, you should definitely make a side trip to the beautiful town of Puebla.